Acquisition Given in loving memory of Eli and Atara Rozik-Rosen (1932-2018). Prof. Eli Rozik-Rosen served as the Israeli Cultural Attaché in London (1983-86) and supported the Ben Uri Gallery in this role. 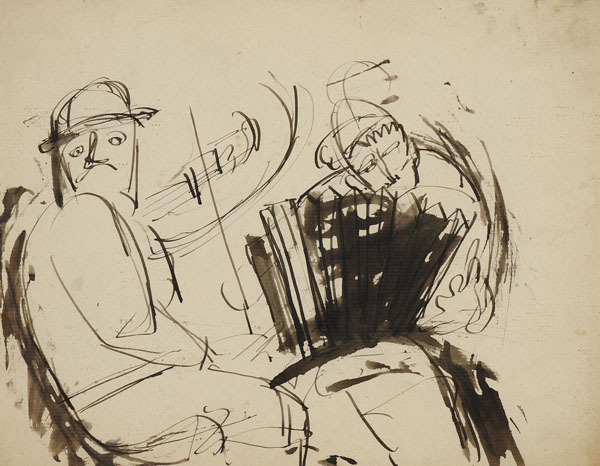 Eli and Atara were close friends of the artist Josef Herman. This work is donated to the museum in memory of their friendship. 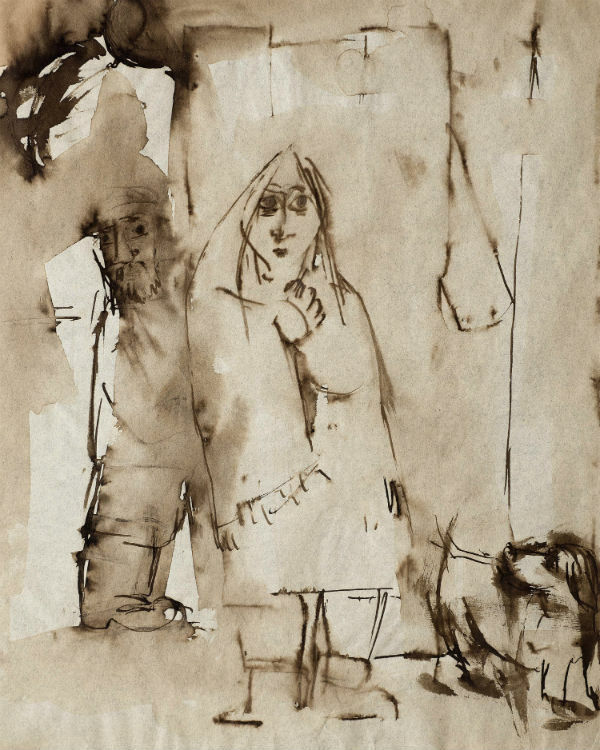 After his arrival in Glasgow in 1940, as an evocation of a lost Warsaw, Herman began a series of nostalgic drawings variously depicting family life, Jewish customs and the everyday street life of his native city. After receiving the news that his entire family had perished in the Warsaw Ghetto, the series darkened to include images of pogroms. This work is reminiscent of drawings of the artist's parents and Herman has inscribed the drawing as a birthday gift to his friend, labelling it as 'a fragment of myself'.